Rediff.com » Movies » What are Shilpa, Ranveer, Athiya up to? What are Shilpa, Ranveer, Athiya up to? Just what do actors *do* the whole day? How do actors spend their day? We spotted a few actors around town over the weekend, and decided to see what they were up to. Shilpa Shetty gets very fashionable, as she steps out in Juhu, north west Mumbai. Richa Chadda shoots a promotional song for the film, Daas Dev, Sudhir Mishra's version of Sarat Chandra Chattopadhyay’s Devdas. The film stars Rahul Bhat as Dev, Richa as Paro, and Aditi Rao Hydari as Chandramukhi. Mishra, in the picture, visualises the story we have seen so often on the big screen quite differently, and sets it in the world of politics. 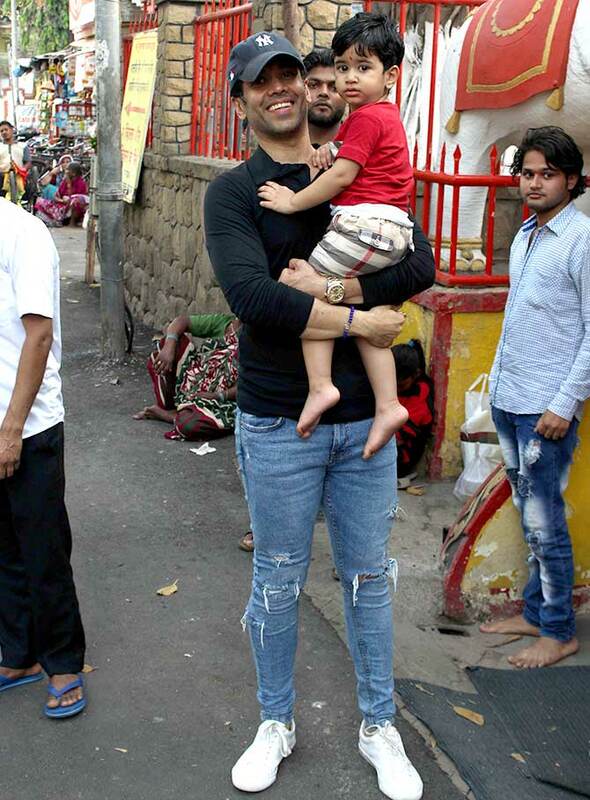 Tusshar Kapoor and his son Laksshya visit a temple in Juhu. 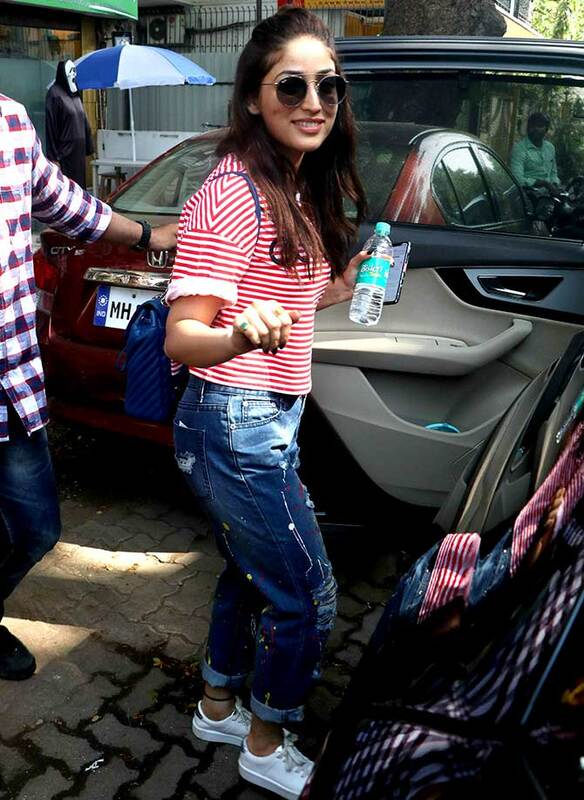 Yami Gautam gets clicked in the streets of Bandra, a western suburb of Mumbai. 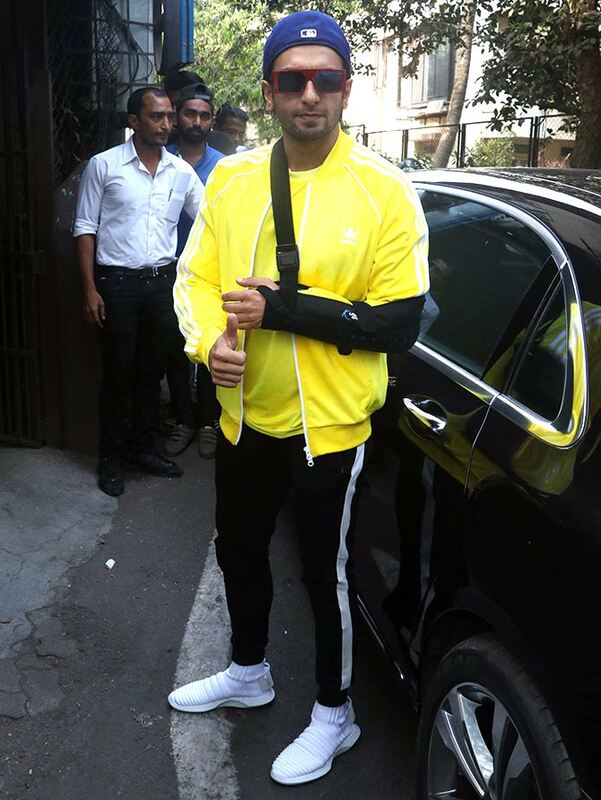 Ranveer Singh, who is nursing a shoulder injury, steps out in Bandra. Athiya Shetty steps out of her car. 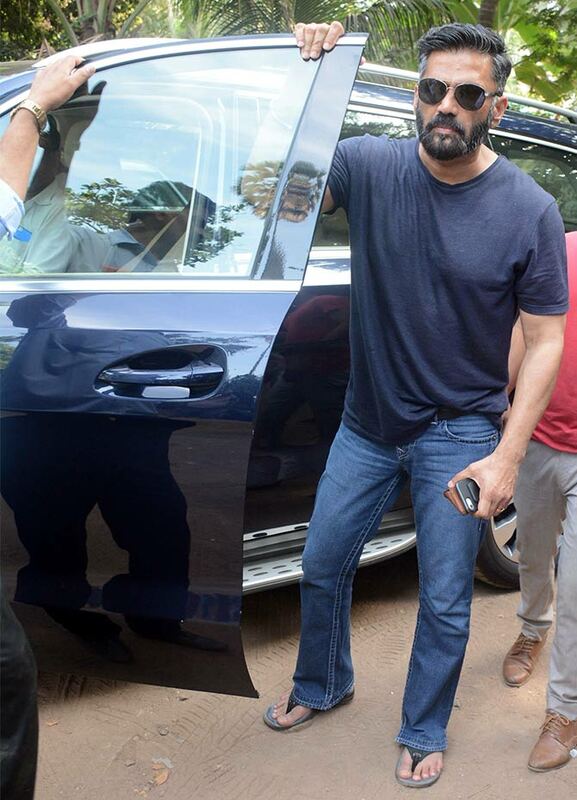 Her dad Suniel Shetty gets clicked at casting company F The Couch's office in Versova, north west Mumbai. 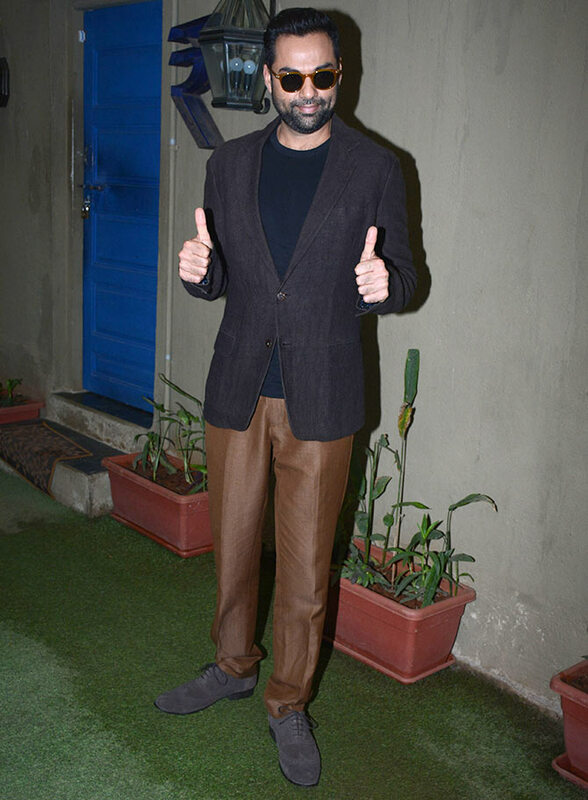 Abhay Deol promotes his new film Nanu Ki Jaanu at F The Couch as well. Abhay's co-star Patralekha joins him. 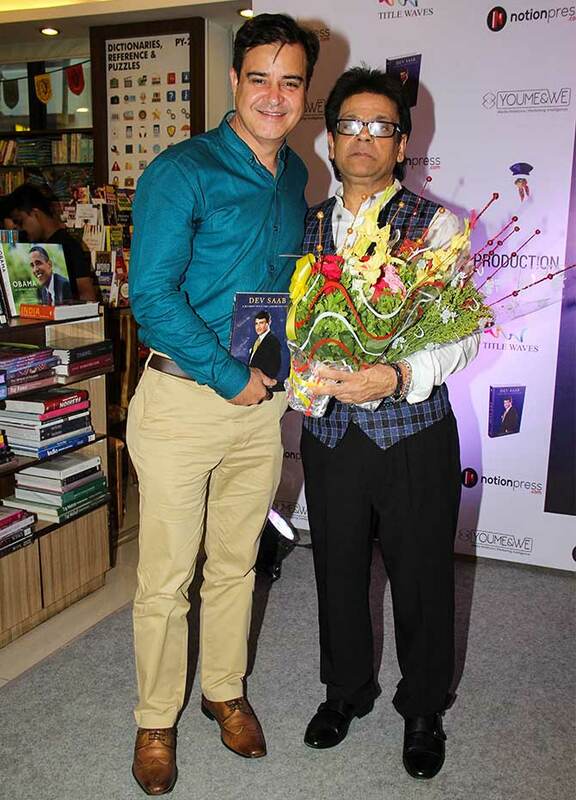 Sooraj Bharjatya's father Raj Kumar Bharjatya launched a new book by Dev Anand called Dev Saab. 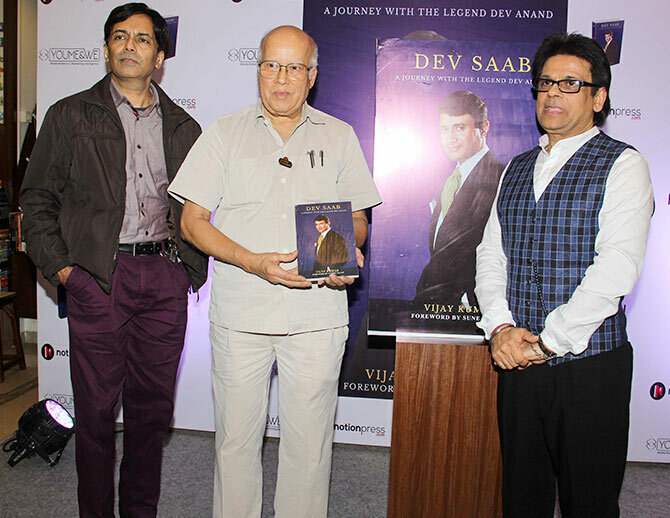 Dev Anand's son Suniel Anand (left) was present along with the book's author Vijay Kumar. Akshay Anand was launched by Dev Anand in the 1985 film Hum Naujawan. 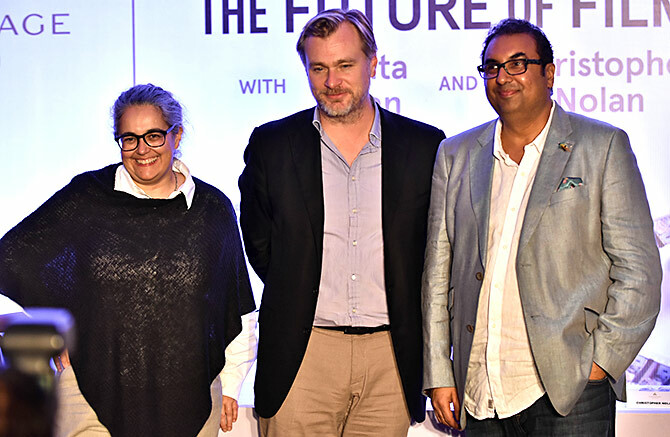 Dunkirk director Christopher Nolan, visual artist Tacita Dean and Indian filmmaker and archivist Shivendra Singh Dungarpur, who is the founder of the Film Heritage Foundation (FHF) discuss film preservation and restoration at Yash Raj Films studio in Andheri, north west Mumbai. Rakul Preet Singh gets clicked outside a cafe in Bandra.